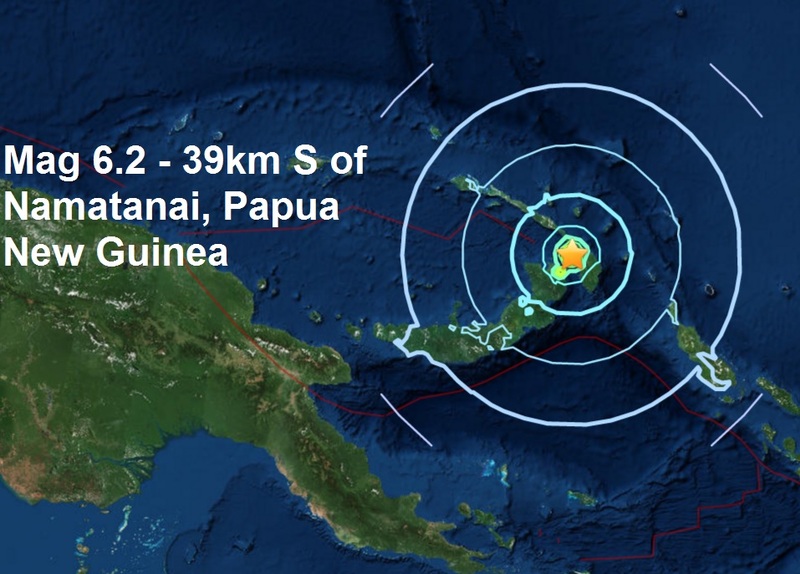 Yesterdays magnitude 6.2 - 39km S of Namatanai, Papua New Guinea is the 8th major quake of May and the 34th of a record breaking low count so far in 2017, see maps below. 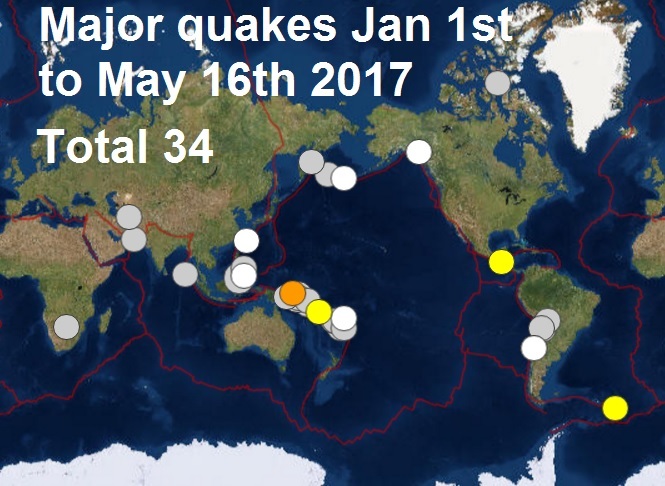 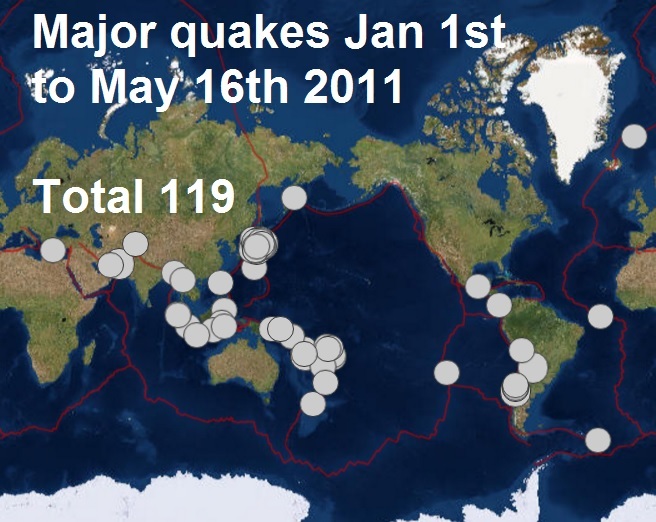 Major quakes in the same time period 2011: 119 were recorded, of course March 2011 was the month of the mag 9, along the east coast of Japan with many aftershocks. 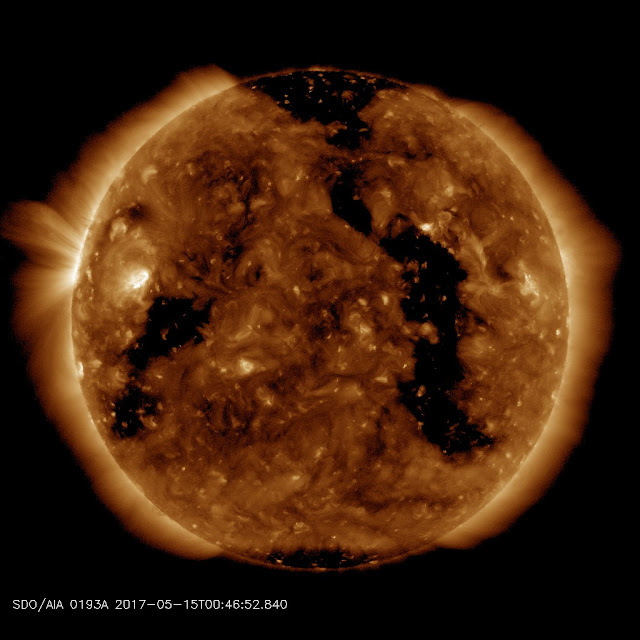 Another big Coronal hole has emerged on the Sun’s south eastern limb, and is now facing Earth. Solar wind flowing from this coronal hole reached Earth on May 15-16. Credit: NASA/SDO.